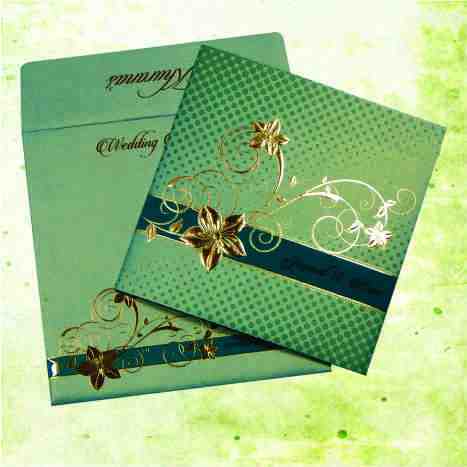 ENVELOPE : Teal Blue Color 250 gsm Shimmery Finish Paper With Raised Navy Blue Color Printing. Design Printed With Emboss Effect. MAIN CARD : Baby Blue Color 250 gsm Shimmery Finish Paper With Teal Blue and Navy Blue Color Printing. Design Printed With Emboss Effect.